Brenda graduates from the Georgia Baptist School of Nursing. 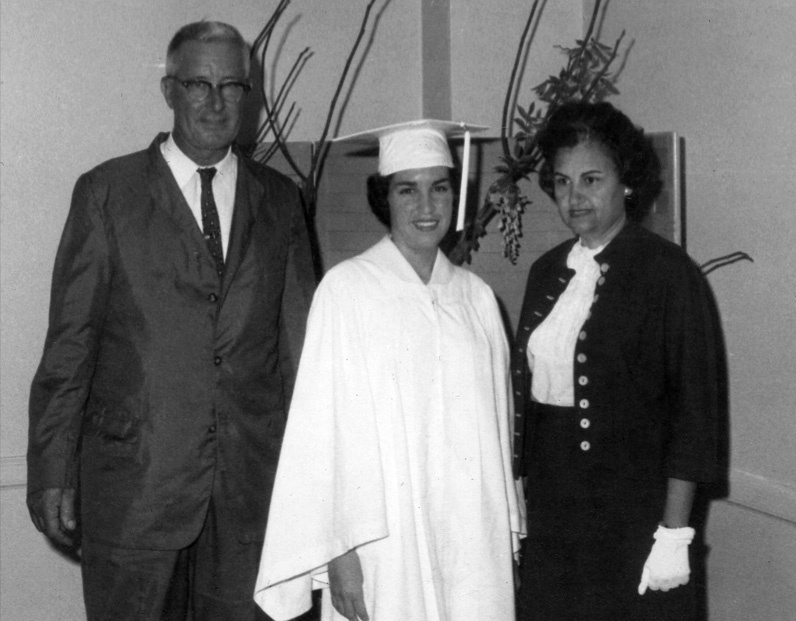 Herb and Marjorie Duncan are shown with her at First Baptist Church Atlanta. Brenda didn't actual finish her work until September because of the time missed due to the accident, but this was a time of celebration. GBH had graduations only in June, and all the September class were graduated along with the June class. June 2, 1962.